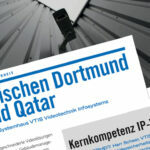 After the application mid-July VTIS has occupied the third place in yesterday’s presentation of the training price of the Dortmund economy. We are proud of what we have achieved and above all on our trainees with whom we visited the ceremony. by admin	23. September 2014 0 Com.